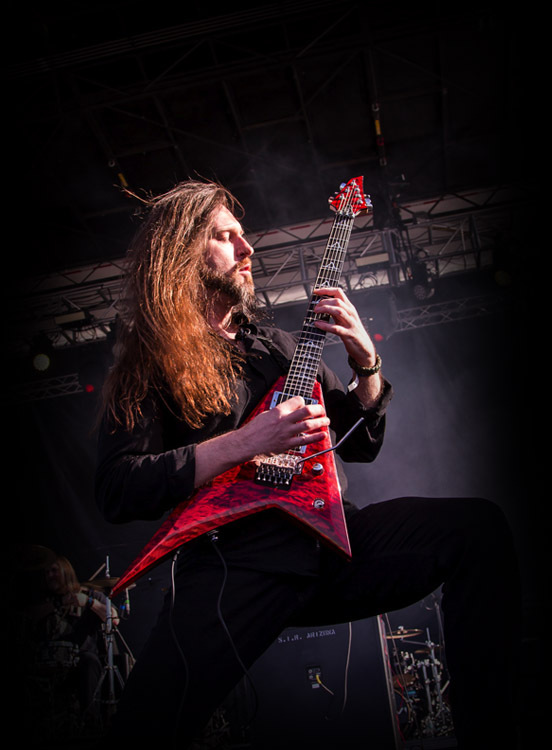 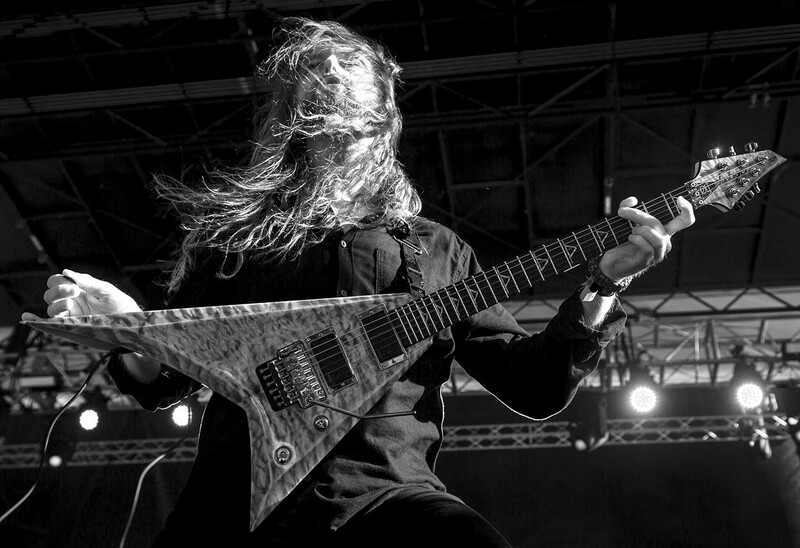 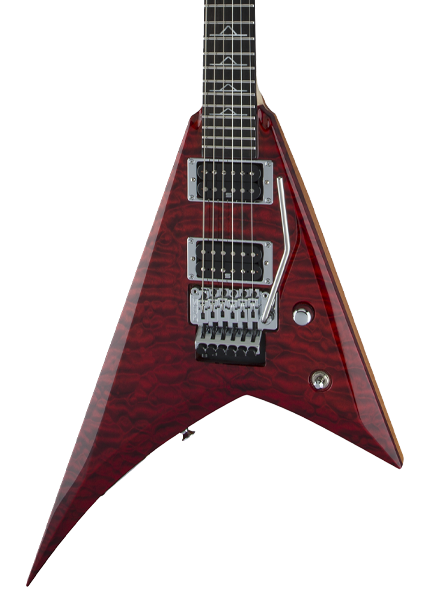 Based on the model he uses onstage, the Oli Herbert Rhoads features a V-shaped mahogany body with a gorgeous ¾” quilt maple top and Red Rum finish. 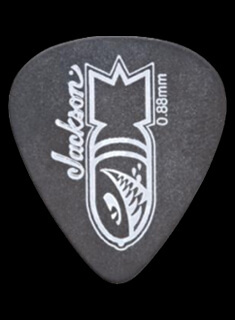 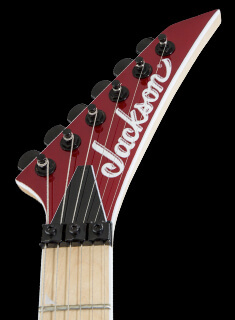 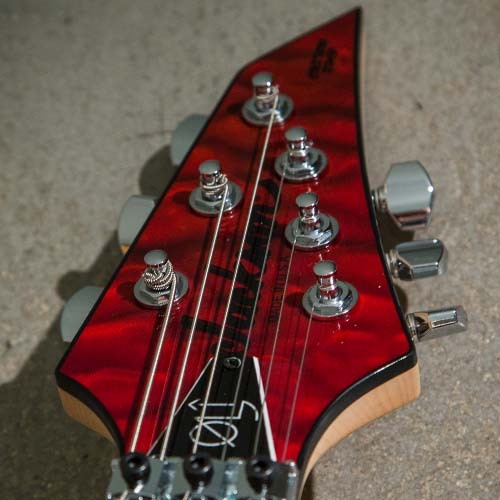 The one-piece quartersawn maple through-body neck is graphite reinforced, with a comfortable scarf joint, Jackson 3x3 AT-1 headstock, and hand-rubbed urethane gel back finish for speed and smooth playability. 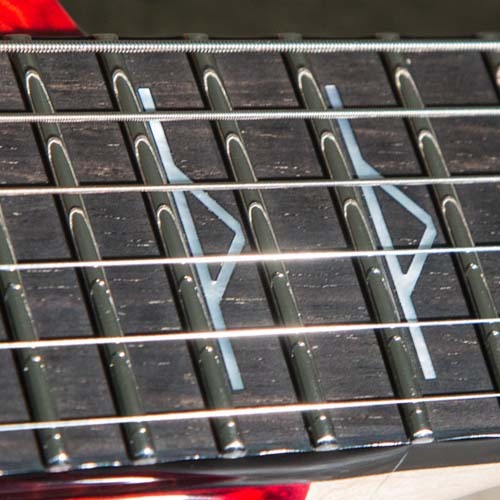 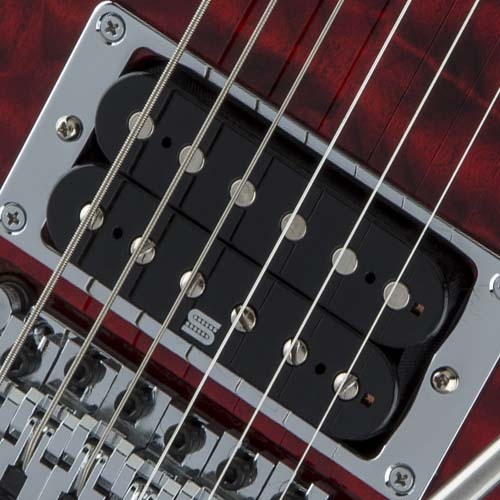 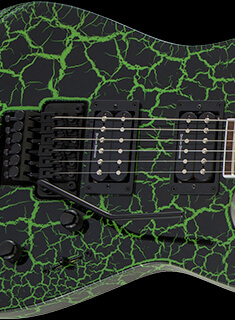 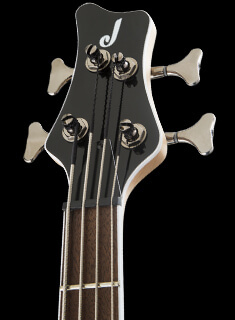 The compound-radius ebony fingerboard (12”-16”) has 24 jumbo stainless steel frets, distinctive mother-of-pearl “rune” inlays, and black binding.